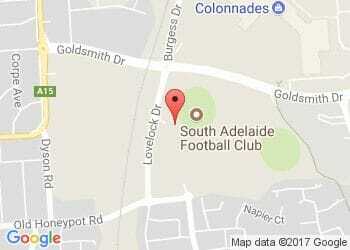 The South Adelaide Football Club is now taking applications for the soon to be vacant position of South Adelaide Football Club Talent Manager. The South Adelaide Football Club Talent Manager is primarily responsible for implementing a high performance environment that will contribute to the development of talented footballers throughout the South Adelaide Zone. The role will oversee and manage the South Adelaide Football Club Centre of Excellence U18 & U16 teams, Development Squads and youth girls programs. Please click here for compete position description. Applications can be made by email to the South Adelaide Football Club CEO at nsharpe@safc.com.au or in writing to Neill Sharpe, South Adelaide Football Club, 1 Lovelock Drive, Noarlunga Downs SA 5168. Applications close 5pm Friday June 9th.